If you’ve ever wondered about using henna for your hair, then this is the guide for you. I’ve used henna in my hair in the past, but then ended up switching to an herbal color because I wanted a deeper red than I had been able to achieve in the past. Using the herbal color was really drying out my hair, and I was having constant issues with trying to find some sort of remedy. I remembered that thicker, stronger, and softer hair were all benefits of henna hair and decided it was time to switch back. But I didn’t just want to switch back to the old ways. I wanted to find a way to achieve the deep “Ariel” red color that I have been striving for for so many years. So now that you can see the process I took, let’s talk about some of the benefits and potential drawbacks. Over time, the hair becomes fuller. You aren’t putting toxins on your scalp by using a chemical-ridden hair color. You aren’t breathing in the fumes of toxic hair color. Henna acts as a natural hair growth remedy. Henna is anti-fungal and anti-bacterial. It doesn’t penetrate the hair, but coats it and protects it. Henna is a permanent dye, and lasts longer than other hair colors. If you do use Henna, you should note that last benefit as it could also be seen as a drawback. Henna is pretty permanent and can actually interfere with chemical colors if you try to use them while henna is still in your hair. To remove henna completely, you will need to do a mineral oil treatment. What works for one person may not work for another. Henna can take some trial and error (as you all saw that it took me three different attempts to find what I was wanting). Henna cannot make your hair lighter. You can only go darker with henna. If you have darker hair and wish to get a nice red or strawberry blonde with henna, you will first need to bleach your hair. And because I know you’re going to ask, here are links to the items I used in my videos. If you do purchase them through these links, you’ll be supporting this site and my videos, so thanks! Be sure to also leave your comments to let me know what other types of natural things you’d like me to test out in a future video for you! Crystal you are a HOOT to watch! This was interesting for sure. But I do have a question oh wise henna one….can you use henna over chemically dyed hair? I got the red thing going on too but I use the drug store dye in a box stuff to get there. I would love to try something chemical free though. And one more question, what is your natural hair color? I have a question for you. I saw on another post that you had some trouble getting the Ariel red on your rooths and used bleach. I just bought the heena you used and look forward to try it! 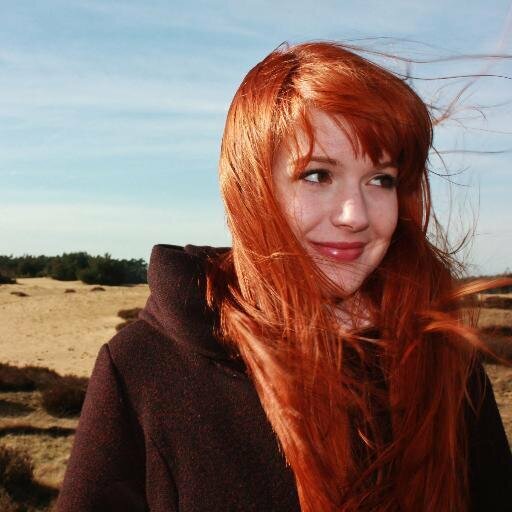 I wonder if I have to bleach my air in order to achieve the Ariel color on my natural roots (wich are medium brown). Did you bleached the lenght of your hair previously so it’s why it sticks this well? Good questions Olivia! I did bleach, but had colored with henna about 2 times prior to using this ariel red color. If you bleach and try to use this (which I have done before) it will come out orange, so you may need to do about 3 treatments to get to the red directly after bleaching. Good luck! Let me know how it goes! Thank you for the answer! I won’t bleach then. That will be trial and error. But I currently have that color after using Henna Sooq’s red color. I was wondering what your opinion is on using Coconut milk in the henna mixture? I found a recipe using 1/3 cup tea, oil of some sort, then coconut milk. Hmmm… I haven’t tried that one yet. If you do it, let me know how it goes! LOVE THIS COLOR MUST GET IT!!!!! Coffee (check your cupboard – heh!) (DO I USE COFFEE OR TEA??) also what kind of tea should I use? Do you have any updated pictures of your hair today?